As an aspiring writer, you may picture yourself laboring over your notebook, tossing whole pages into the overflowing wastebasket next to your dimly-lit desk. But here’s a tip: toss a monogamous relationship with your pen to the side and flirt with as many books as you can. Seriously, read everything. I say this knowing it’s impossible. Sometimes life’s other commitments thud louder on your nightstand than the stack of books. But that doesn’t mean give up reading time. Check out this list of books that are truly worth putting your pen—and grocery bags—down to pick up. The job of all writers is not only to translate their knowledge and beliefs into words but—more importantly—to know themselves. 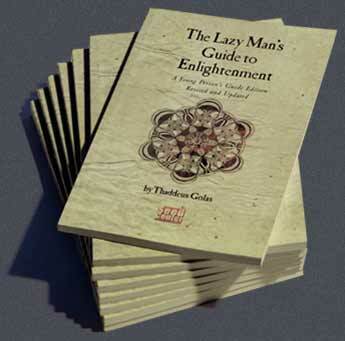 In The Lazy’s Man, Thaddeus Golas brings his readers to a greater understanding of not only the souls within but also of their purpose on this planet. Some may boo that Golas picked up his pen after experimenting with LSD and was often seen handing out free copies of his work in Times Square, but his thoughts really are priceless. “It’s so important for developing as a writer, staying the course, and re-creating yourself,” said Dr. Barry Raebeck, author of Tyger on the Crooked Road. Golas presents a simple choice as both the skeleton of his short novel and of life: “Expand your awareness or contract it.” In the name of expanding, our first step is to read this novel. The next: never stop reading. 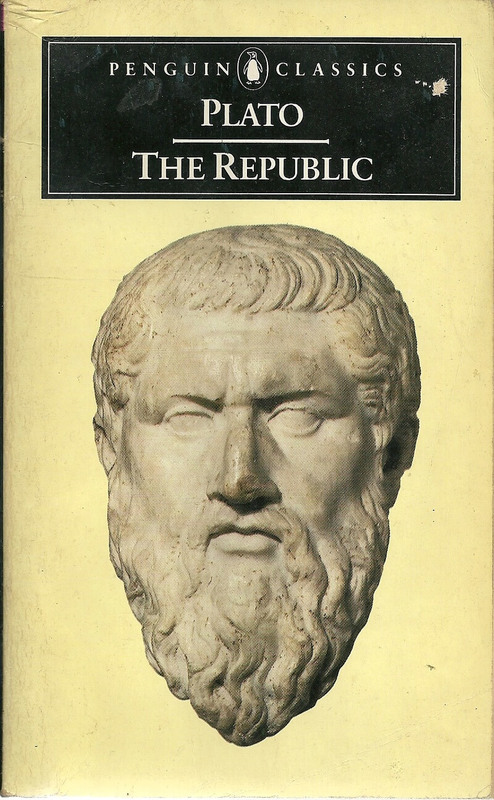 Being one of the first philosophical texts to question and dissect the role of writing in society, Plato’s Republic is a must-read for any aspiring writer. By emphasizing the power of wide-spread publication and including his own take on political and social concepts of the time, Plato offers insight into a writer’s responsibilities and impact on the world. He reminds writers that they’re not only creating entertainment and art, but frameworks of ideology and realities for those observers. “He censors literature,” said Professor Timothy Duket of Boston College’s Honors Department. Plato reminds his readers that questions, ideas and words all have historical weight. To stay inspired with one’s own position and appreciate some phenomenal writing, all wannabe writers have got to read The Republic. Remembering all these great writers may leave you thinking it’s all been done before: there’s just nothing left to write. Barthelme proves oh, how wrong you are. 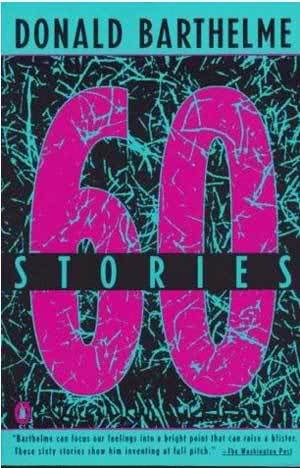 He gives a new meaning to short stories, paradoxically taking the outline far deeper than its length. Each captivating story puts a new lens on life, constantly challenging any preconceived constraints of storytelling or of simply being human. “The point is that we are not finished needing, from marvelously gifted writers such as he, help with the vicissitudes of modern life,” critic John Romano said. Barthelme’s portrayal of life and the consequential complexities give power to all choices and the unlimited possibilities to change, challenge and conquer each day. These underlying concepts woven into every plot will leave anyone’s hands itching to start on number sixty-one. Golas, Plato, and Barthelme are an irresistible trio for all those viciously tapping away at their keyboard, but the list of must-read authors does not end here. As Kofi Annan so wisely said, “Literacy is a bridge from misery to hope.” For us aspiring writers, literacy is a revolving door between reader and writer. The easiest way to capture the experience necessary for writing is between a binding. Each time we crave more, we just have to turn a page. Alexandra is a 20-year-old nomad at Boston College in the class of 2018. In addition to studying English, Alexandra enjoys pudding, accents, yoga, and mermaids. She aspires to be more like Hilary Duff.